Communication is key to a business’ success. But sometimes, too much of it can be bad for the business...especially if you are speaking to clients and employees overseas at rates of almost $3.00/minute! Fortunately, businesses no longer have to worry so much about racking up astronomical phone bills thanks to Voice over Internet Protocol (VoIP) technology. VoIP lets you make telephone calls for free or at a lower cost by sending your calls over the internet. And you can easily do so regardless of your location because there are various mobile VoIP solutions, such as mobile apps for your smartphone. Mobile VoIP apps let you take your business phone service wherever you go, keeping you connected even if you’re miles away from your desk phone. All you need is your smartphone and an internet connection to access the app and all of its features. From one of the leading VoIP service providers, Vonage MobileConnect for Essentials is perfect for companies that employ remote workers or have staff constantly on the go. The app lets users send and receive business calls and text messages, separate business and personal accounts on the same device, and maintain a professional business presence even when on the go. The app is fully integrated with the Vonage Business Essentials phone plan, and can be used on both Android and Apple devices. Recognizing the need for reliable mobile solutions and the growing Bring Your Own Device (BYOD) trend in workplaces, RingCentral also has a mobile app that enables users to manage business communications quickly and conveniently. The RingCentral mobile app for Android, iPhone, iPad, and Apple Watch covers all the basic functions businesses on the go need, including making and receiving calls, sending and receiving fax or texts, hosting and attending video conferences, checking voicemails, and more. Robust call features such as call park, transfer, and recording are also available through the app. For existing 8x8 Virtual Office customers, you don’t have to look elsewhere for a mobile VoIP app: 8x8 lets you get your own phone extension through the Virtual Office app. Whether you’re on the road, traveling abroad, or home sick, you can access the most important functionalities of 8x8’s Virtual Office tools (chat, video calling, business phone, voicemail, and fax) on your mobile device. By using the app, users can stay reachable regardless of location, and avoid long distance and international call charges as well as data roaming charges. This also means you never have to miss important phone calls or meetings again. Skype is a popular solution for those looking for a basic VoIP service. With Skype, you can make free voice and video calls with anyone who has a Skype account, send instant messages to other account holders, send text messages, and call both landline and mobile phone numbers using Skype credit. However, unlike other mobile VoIP apps, Skype is light on features, and their calling rates on landline calls aren’t the cheapest among competitors. Google’s answer to Microsoft’s Skype is Hangouts. Hangouts is another free video, chat, and calling application. It comes pre-installed in Android devices and, unlike Skype, allows more active participants (up to 10) in a single meeting. Since it is a product by Google, Hangouts is fully integrated with other Google services, including Google Drive, Gmail, YouTube, and more. It’s also free for Google+ users, but has extra charges for landline and mobile calls. Hangouts also lacks in the features department when compared to mobile VoIP apps from VoIP providers. So Which Mobile VoIP App is Right for Me? 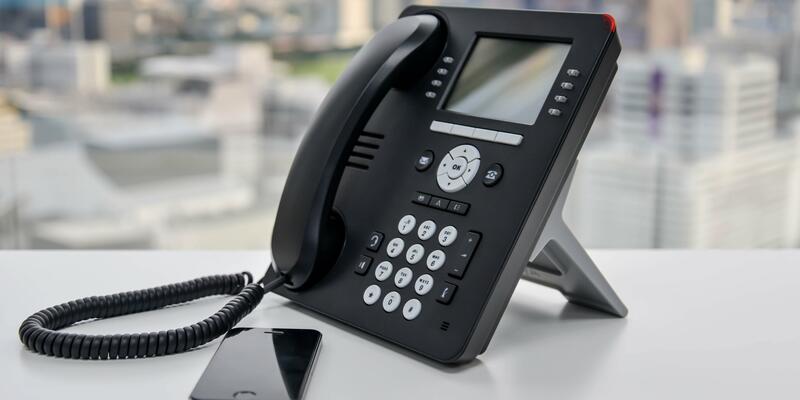 The convenience, cost efficiency and flexibility of mobile VoIP apps have made it a great alternative to standard landline and cell voice plans, and its popularity for business use is steadily rising. Mobile apps from leading VoIP providers such as Vonage, RingCentral and 8x8 help support every business’ mobility needs with their full suite of VoIP features. Meanwhile, Skype, Google Hangouts and other related services also offer useful VoIP functionalities, but are very basic when compared to the mobile apps offered by VoIP providers.